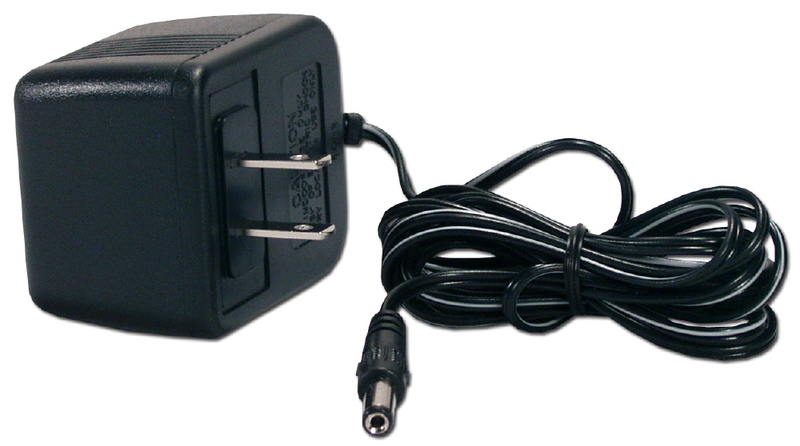 Attach any power adaptor to a power strip, wall outlet or uninterruptible power supply (UPS) without blocking other outlets. Ideal for use at home, office and any other situation where there isnt ample space for adaptors. 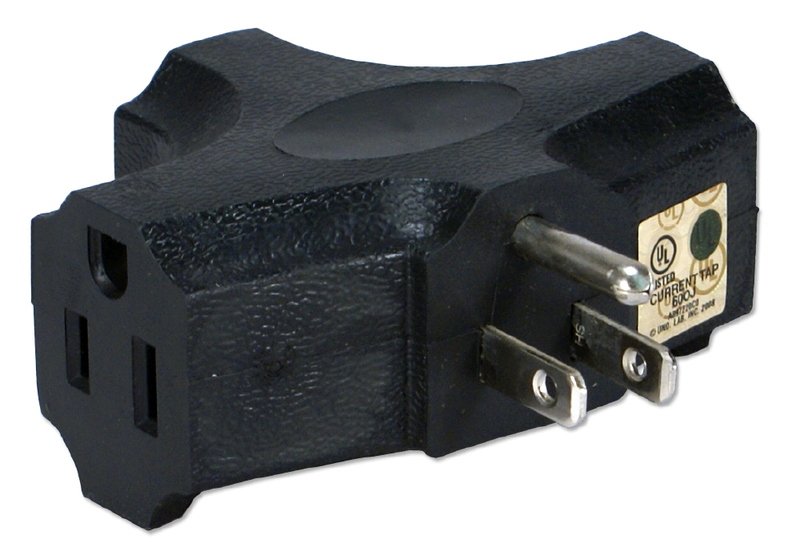 OutletSavers provide space to fit oversized adaptors and allow atachments of multiple adaptors per outlet. are made of UL/CSA listed components. 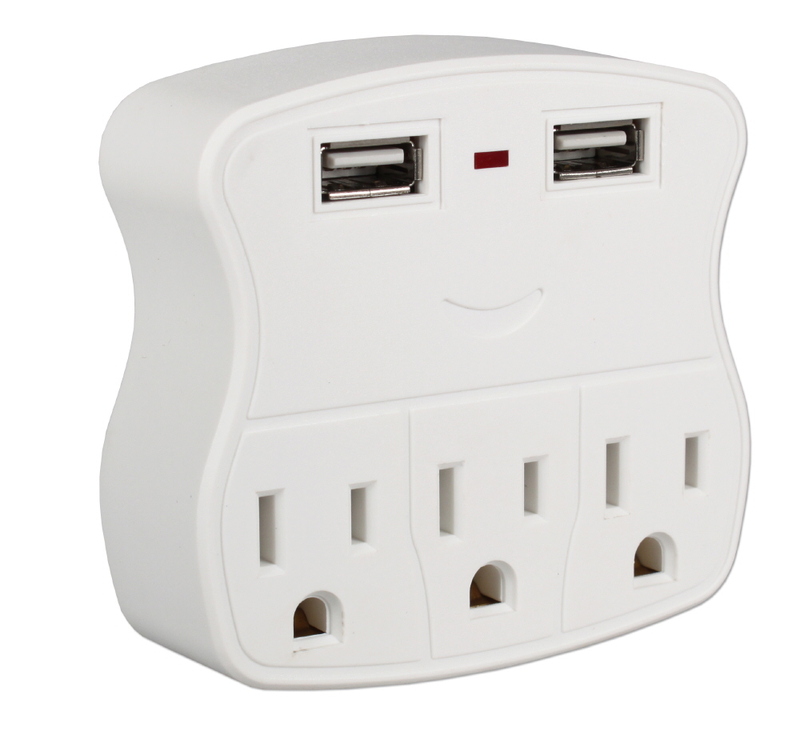 This power strip provides 3-outlets from standard 2-outlets wall socket. 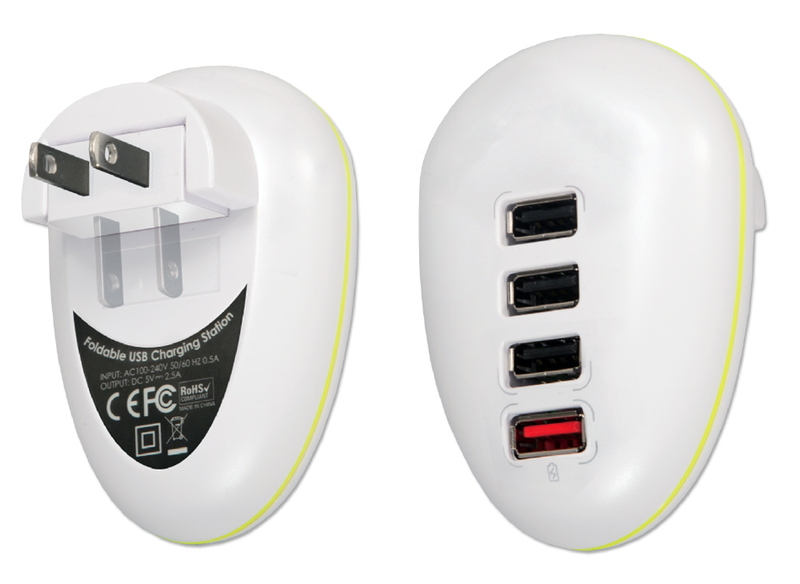 It has standard 3-AC 3-prong outlets and 2-USB charging outlets. Connect your computers, peripherals and other office equipment. The USB ports provide up to 1Amp for each port and can be used to re-charge smartphones, tablets & other USB mobile devices. It is ETL listed and made of durable plastic. Protect your electronic equipment from damaging voltage and current spikes. It has six protected power outlets, 2-USB charging outlets, and a pair of smartphone/tablet cradles to hold while it charges. Connect your computers, peripherals and other office equipment. The USB ports provide dedicated 2.1Amp & 1Amp ports and can be used to re-charge smartphones, tablets & other USB mobile devices. 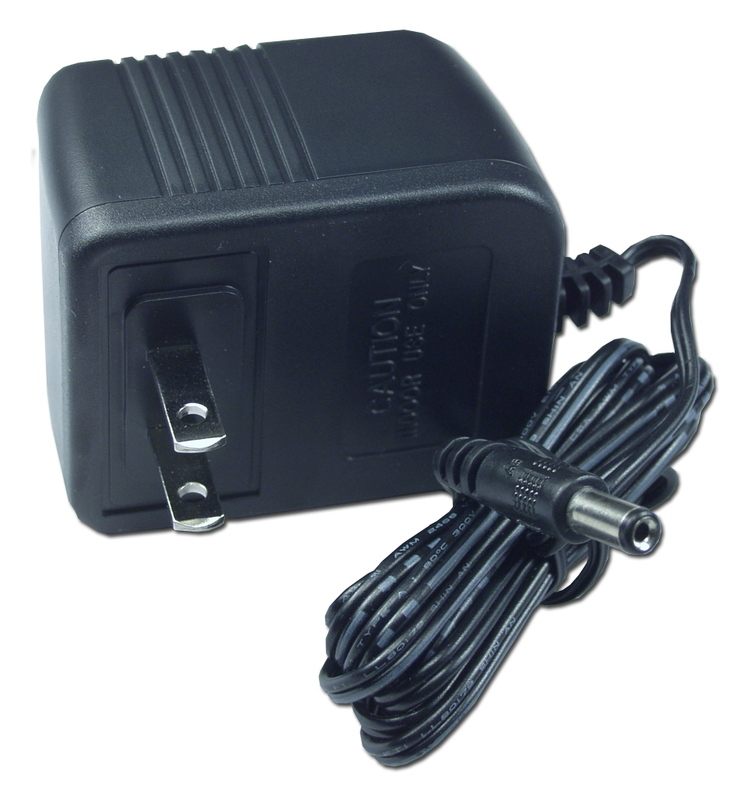 It provides status LED and includes screw to securely mount it on the power wall outlet. 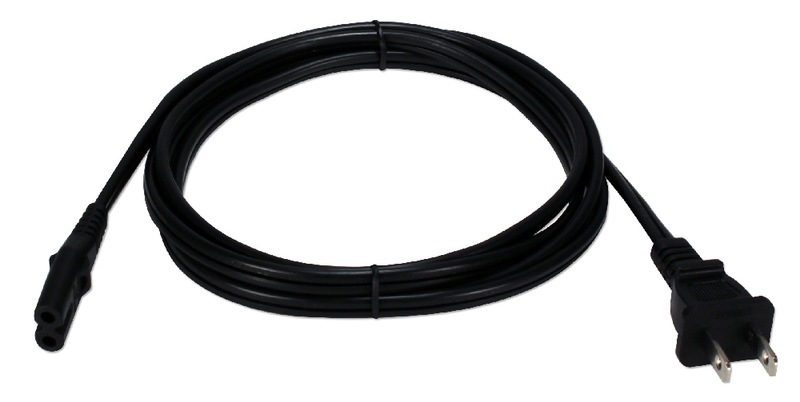 ETL listed and made of durable plastic. 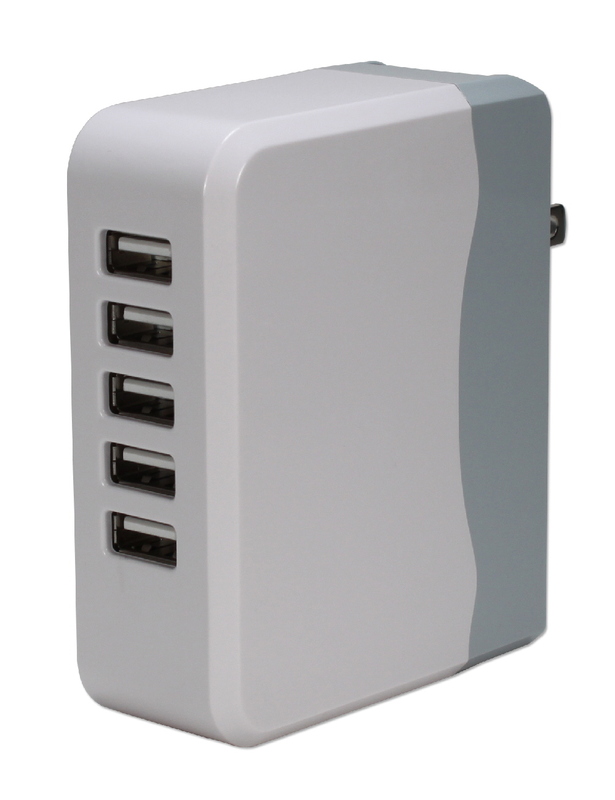 Connect and protect as many as 12 peripherals into a single power outlet. This PowerBar surge protector has built-in T-slots/wall brackets for easy wall or rack mounting, integrated 15A lighted circuit breaker switch, 3ft heavy duty power cord, strong metal housing, and provides 150-Joules of protection. Perfect for office, garage workbench, and industrial applications. ETL and CA Prop 65 approved. 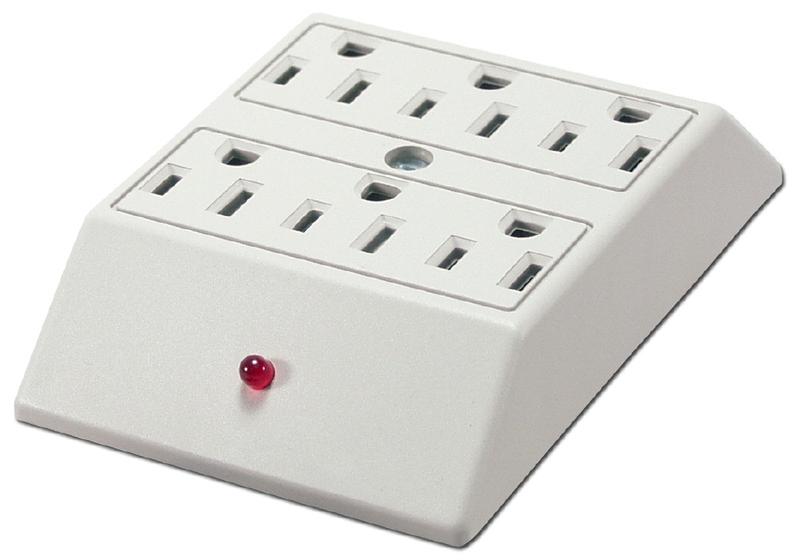 This premium surge protector provides 420 joules of surge protection. 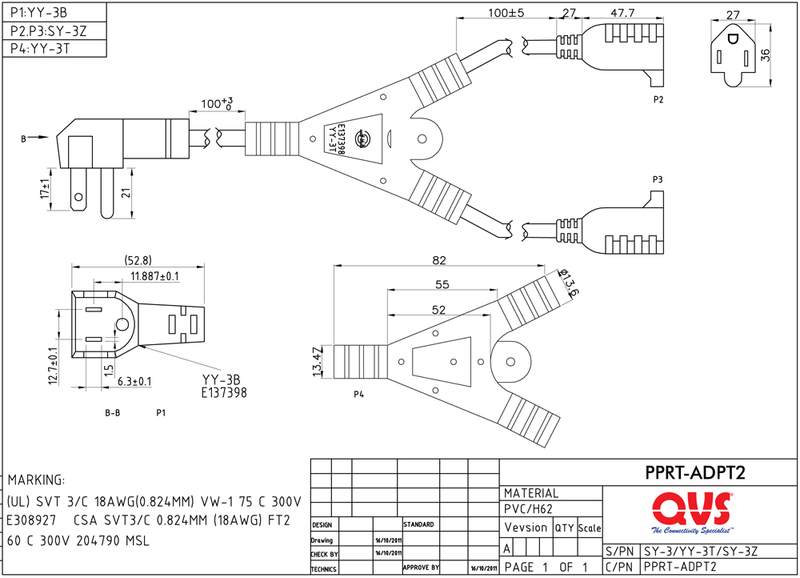 It has six power outlets and 6ft 14AWG power cord for extended reach. Designed to protect your A/V equipment, computers, and all other home/office equipment. It features a resettable 15A circuit breaker that automatically turns off in the event of power overload, ABS Anti-fire plastic case, T-mounts for easy mounting, and lighted master switch. 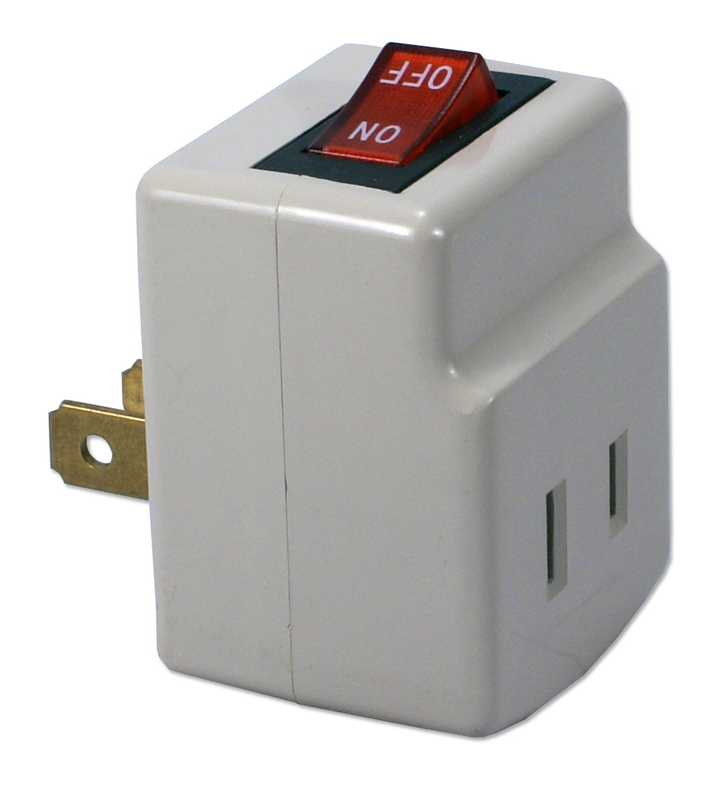 This System Protector Pro provides three-mode power protection against voltage surges, spike & EMI/RFI interference. It has 6 protected outlets including 5-outlets with individually controlled lighted switchers & 1-continuous power outlet. Designed to protect your computers, peripherals and other office equipment. Monitors can be set on top of it to save desk space. 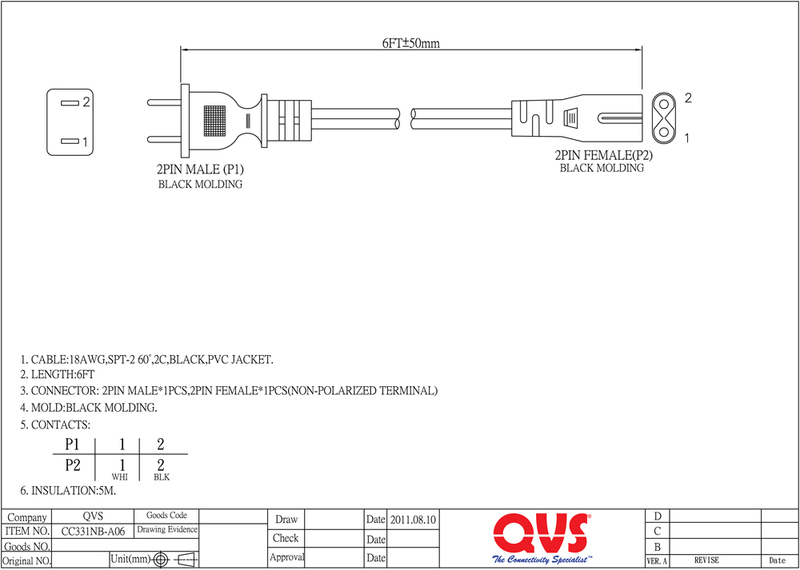 Status LED and lighted power switchers are labeled for ease of use and visibility. It has resettable integrated circuit breaker with the on/off switch that automatically turn-off in the event of power overloads. 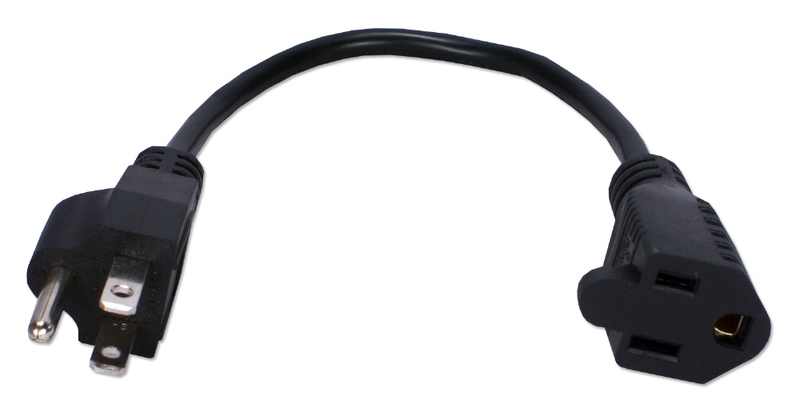 Made of durable metal case with lighted master switch and 6ft long heavy duty cord. 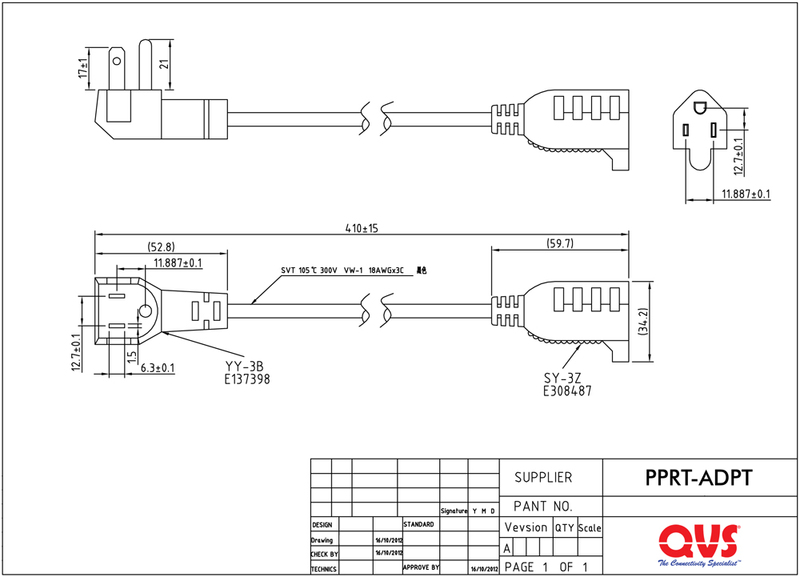 Note: RJ12 port does not support DSL applications. This power strip provides single-mode protection at 90 joules. It has six power outlets. Designed to protect your computers, peripherals and other office equipment. It has integrated circuit breaker that automatically turn-off in the event of power overload. Made of durable plastic. 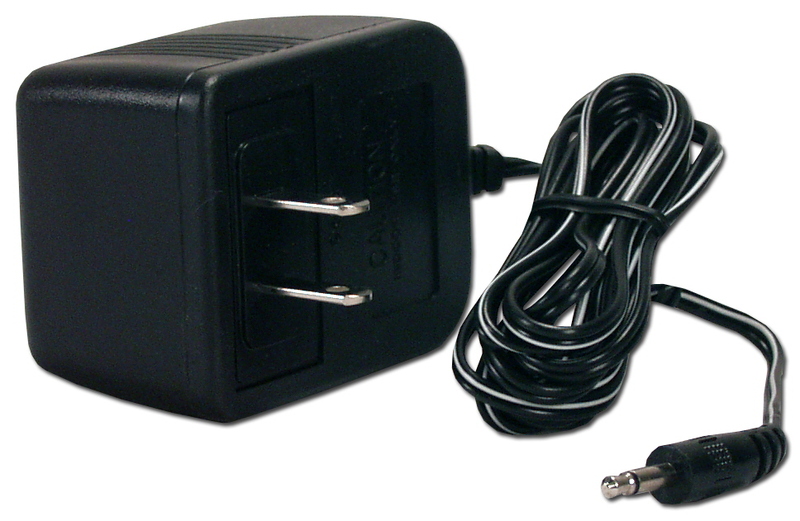 Many electronics use standby power even when it is not being used. This includes laptop/tablet/phone chargers, sound systems, etc. 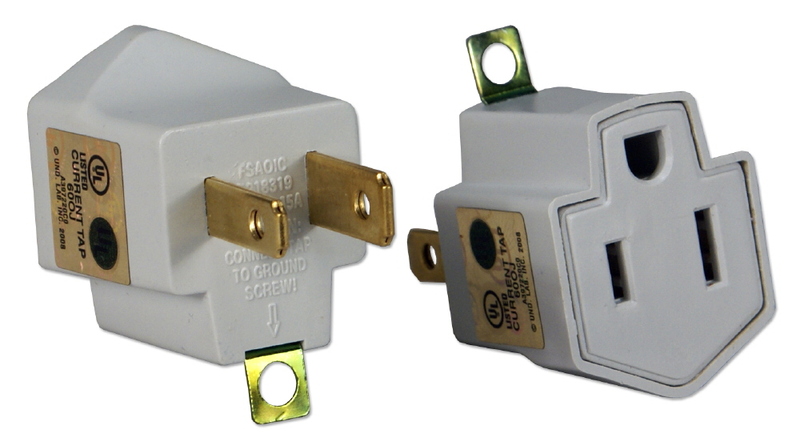 This 2-prong power adaptor makes it easy to turn on/off power when not in use without unplugging and eliminating wasted energy. 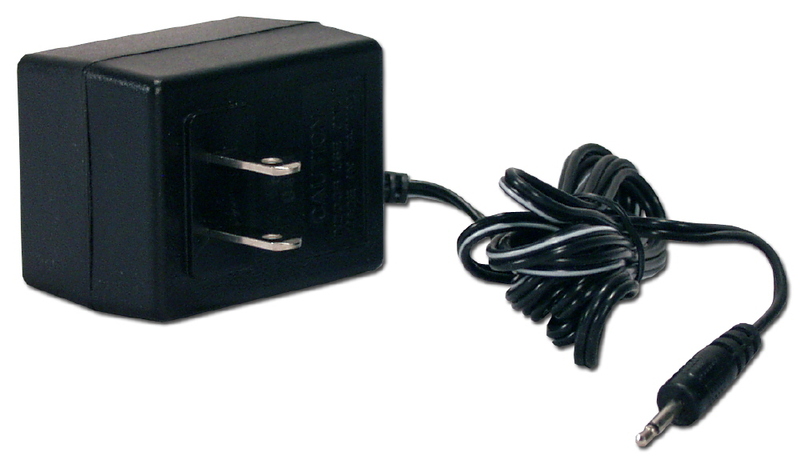 Fits any power outlet, surge protector or power strip with side-mounted outlets and multi-gang power wall outlets without covering opposing plugs or light switches. Perfect for peripherals without built-in power switches such as A/V extenders, smartphone/tablet chargers, home theatre equipment, etc. It is UL Listed, CA Prop 65 and RoHS Compliant. 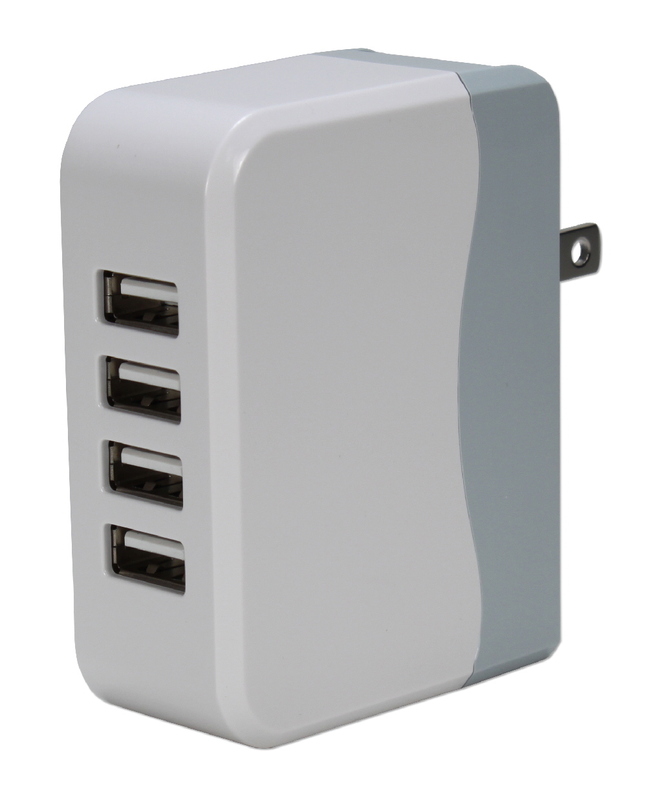 Connects up to 3 devices into a single power outlet. This current tap space-saver & right-angle design connects power cords without bending and put furniture closer to the wall. Ideal for home and office applications including server enclosures or racks with tight spaces. UL Listed. This power strip provide 2-prong/3-outlets and extends it by 15ft. It has built-in safety cover. Connect your computers, peripherals and other office equipment. It is UL listed and has a flexible power cord. 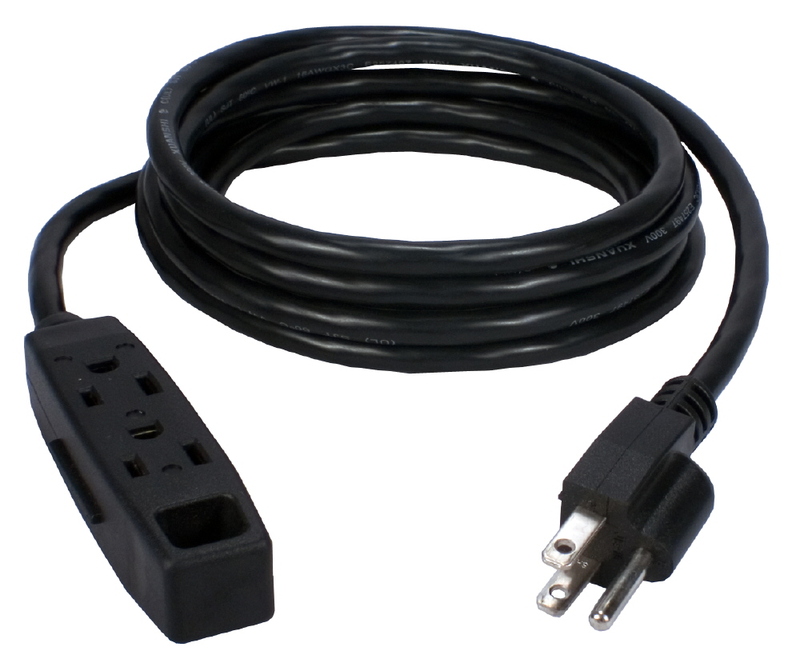 This power strip provides three 3 prong outlets and extends your existing cable length by 6ft. It has an accessory loop for hanging or wall mounting. Connect your computers, peripherals and other office equipment. 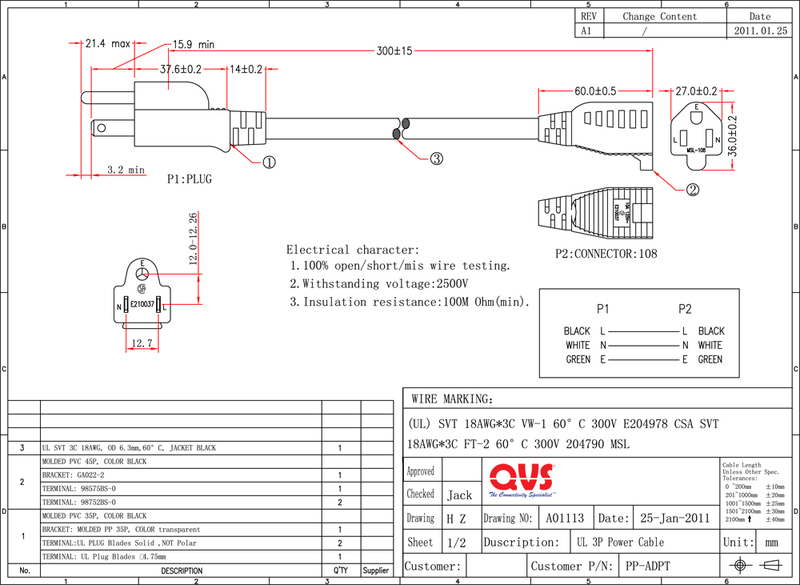 It is UL listed and made with heavy duty power cord. 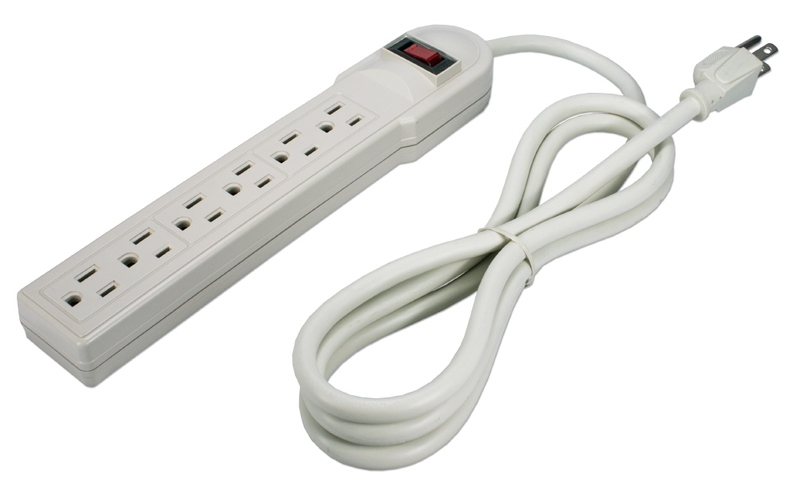 This power strip provides three 3 prong outlets and extends your existing cable length by 10ft. It has an accessory loop for hanging or wall mounting. Connect your computers, peripherals and other office equipment. 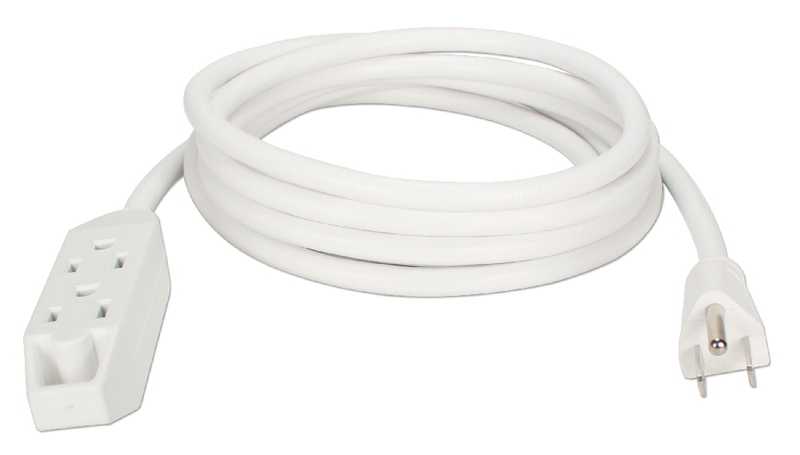 It is UL listed and made with heavy duty power cord. 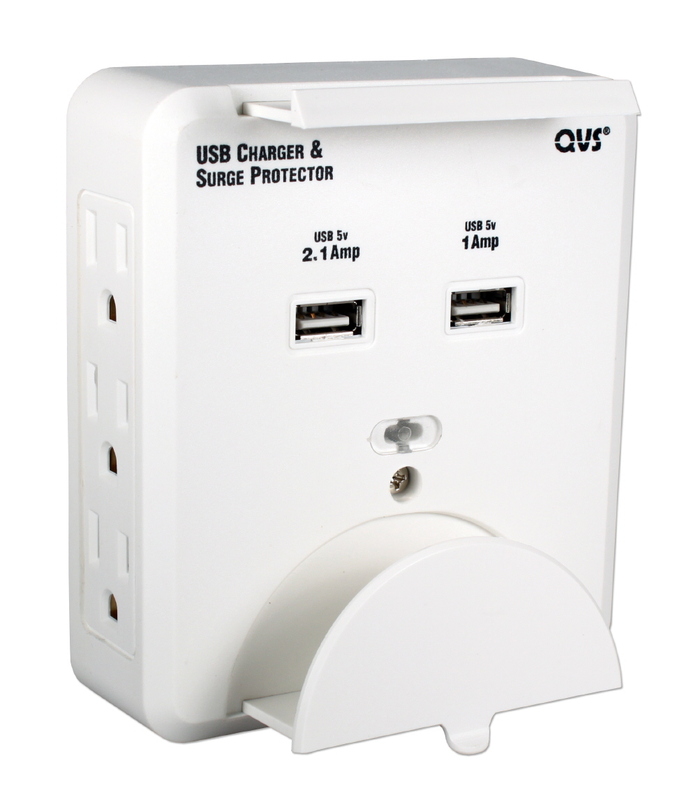 Connects 3-prong plug into 2-prong power outlet. It has built-in grounding tab. 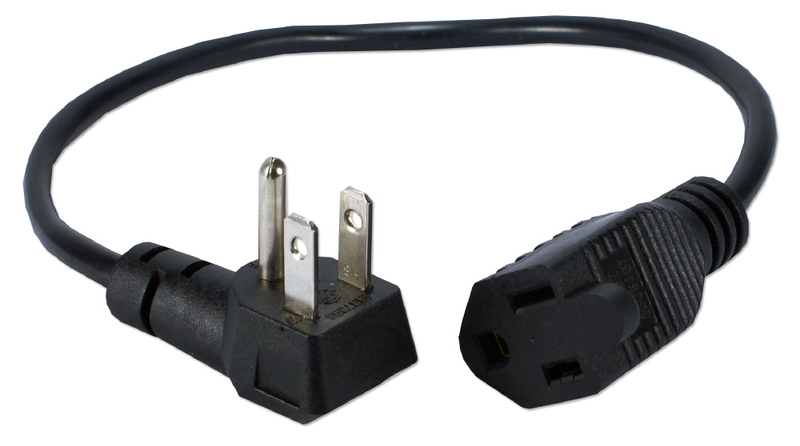 AC power adaptor. Save money and avoid the inconvenience of replacing batteries. 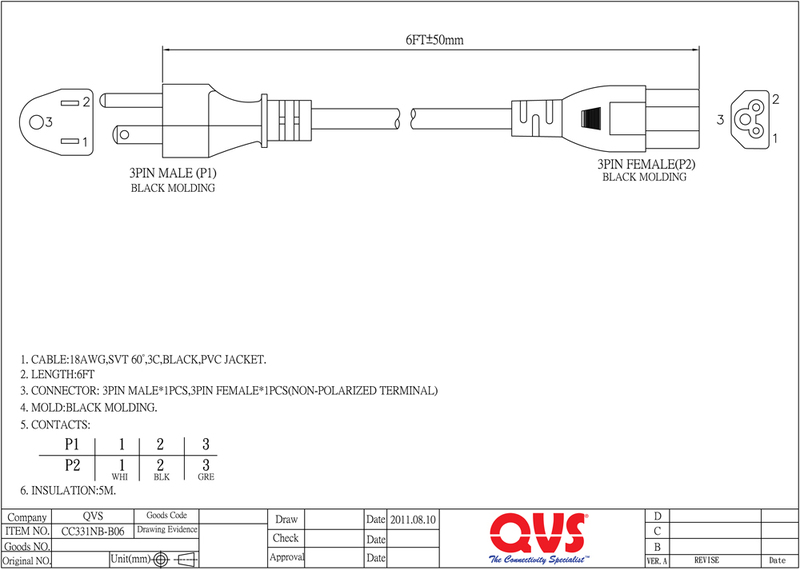 DC 9v 600mA - 5ø, Female. 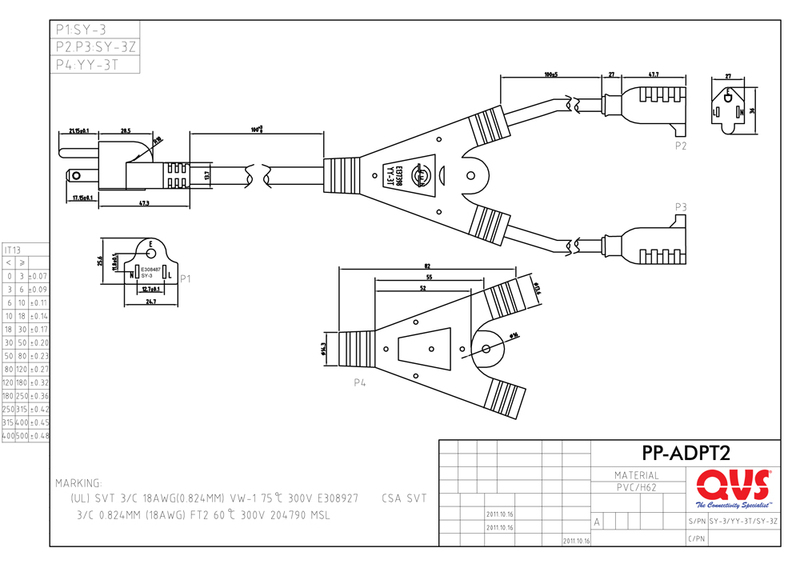 Also works as optional power adaptor for MSV12C, MSV14C, MK21FBP, MK22FBP, MK41FBP & MK22FBP IEEE1284 autoswitches.